ArtWine Cottages are located in Sevenhill, in the picturesque Clare Valley, a comfortable hour and a half's drive north of Adelaide. The cottages which have recently been refurbished are situated in a beautiful vineyard and are surrounded by the Spring Gully Conservation Park, famous for its Stringy Bark trees, and the Skilly Valley. Situated on a secluded high point of the property, ArtWine cottages overlook vineyards and dams with simply stunning panoramic views of the Clare Valley. The perfect environment for a romantic getaway. Relax, enjoy scenic walks or take advantage of the numerous nearby cellar doors. There are two cottages in the one building with a private room between offering you the privacy you want. 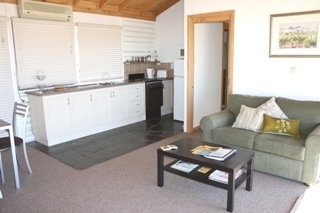 Each cottage features a queen size bed, en suite bathroom, wood fire, reverse cyle air conditioning - all the ingredients for stylish and comfortable living. Fresh breakfast provisions are provided for the duration of your stay. A fully equipped kitchen, your own barbecue, TV, DVD, and a complimentary bottle of wine with bookings of two or more nights. Rate is for 2 people. 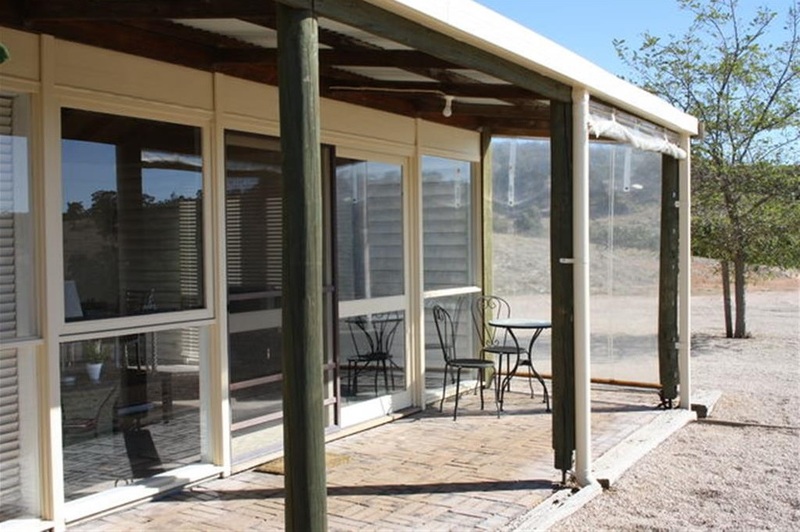 ArtWine cottages are situated on a secluded high point amidst working vineyards and natural bush. There are two cottages in one building with a private room between offering you privacy. Each newly refurbished cottage features a queen size bed, en suite bathroom, wood fire, reverse cyle air conditioning - everything you could want for a stylish and comfortable retreat.